Nearly seven decades after his death, what is it about Al Capone that captures the imagination? Some lives contain multitudes, and his would seem to be one of them. From his heyday to the present, his life has enthralled the public’s collective imagination. Born on January 17, 1899, in Brooklyn, New York, to Italian immigrant parents, Capone would become one of the most notorious crime figures in American history. During the height of Prohibition, his criminal enterprises dominated the city of Chicago and included bootlegging, prostitution, and gambling. His long-running turf war with rival gangs came to a bloody and shocking crescendo on St. Valentine's Day 1929. Through it all, the charismatic Capone remained barely above it all, and Federal income tax evasion was his eventual undoing. In 1931 he was sentenced to eleven years in federal prison but served a little over half his sentence, mostly at Alcatraz. A very ill Capone, suffering from the physical and mental effects of syphilis, was released to live out his final years in Miami. 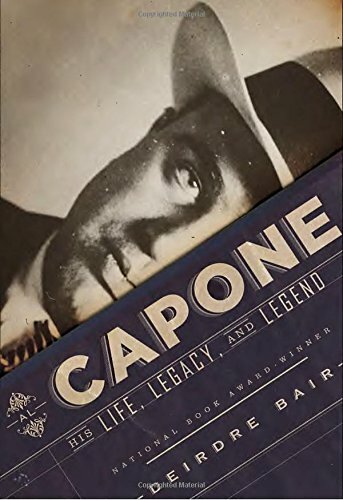 Deirdre Bair, National Book Award winner and author of numerous biographies, attempts to uncover a more personal side of the infamous crime boss and examines the legend and facts surrounding this intriguing and enigmatic figure in her new biography, Al Capone: His Life, Legacy, and Legend. The book follows Capone’s entire life from his humble beginnings in Brooklyn to his rise as crime boss in Chicago through his astonishingly swift downfall and imprisonment and death in 1947. Although this book is superbly documented and researched, its end results are mixed. The narrative is somewhat dry and uninspiring in its presentation and ultimately failed to uncover any startling new information. In the end, this book is best suited for readers who already have a basic understanding and familiarity with the subject matter. It is recommended for anyone interested in anything related to organized crime, Al Capone, and the Prohibition era in general.